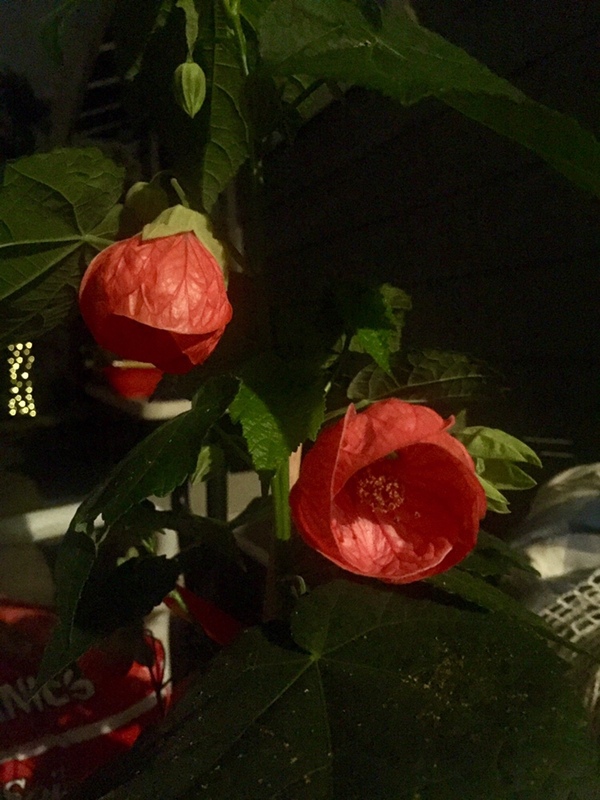 Today we found a beautiful, coral red Abutilon plant to replace the yellow one that used to live outside Mama’s window, but did not survive winter. We’re hoping to plant it tomorrow, but today’s #OneGoodThing was finding a new Abutilon plant for Mama! Day 142 of 365. And Day 873 in a row (here’s the first 366 & the following 365)! Do they belong to the hibiscus family? I’ll have to see what Mr Google says! And, the answer is “Yes”! Oh that’s so cool! Yes, the petals have the same sort of wispy feel to them! Sadly our Hibiscus of years past died and we are still hoping to replace it. I know your mom from my memoir writing class! I enjoy her very much. She told me about your blog. I’m following, now. Hi Skye! Welcome to my blog! I’ve heard such great things about your teaching. Jude is loving your class and the wonderful community you’ve created. Thanks for following my blog!